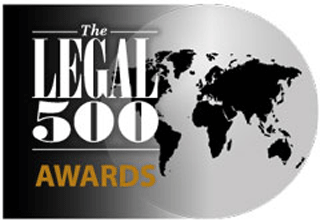 The Legal 500 United States Awards 2015 is a new concept in recognizing and rewarding the best in-house and private practice teams and individuals over the past 12 months. 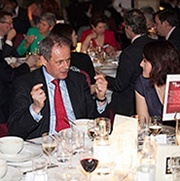 There are no submissions, or black tie dinners that cost thousands of dollars to attend - the awards are handed to the elite legal practitioners, based on the most comprehensive research into the US legal market. 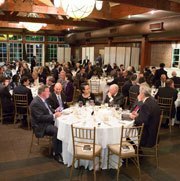 Over 50,000 interviews were conducted to ascertain the winners, who were invited to a free networking dinner in New York to celebrate with their peers. The Yahoo! US legal department sits at the centre of a global team with responsibility for simultaneous product launches in multiple jurisdictions and is known for its ability to collaborate and coordinate across borders and practice areas. With the company’s operations covering everything from social media and mobile applications to communications and ecommerce, the team, led by Ron Bell, is frequently called upon to find new approaches and think creatively. Recently, the team have been working on the set-up of a new publically-traded investment company as part of Yahoo’s spin-off of its remaining Alibaba holdings. Led by Texas-based general counsel Martin McIntyre, Wood Group’s global in-house team is a major contributor to the global diversified energy business’ success. The legal team works closely with business functions in major cross-border transactions and is known for its expertise in regulatory matters across the company’s core industries.